All that is about to change. Today UC Santa Cruz is introducing two new, free web tools that use natural language processing to help people find related games. 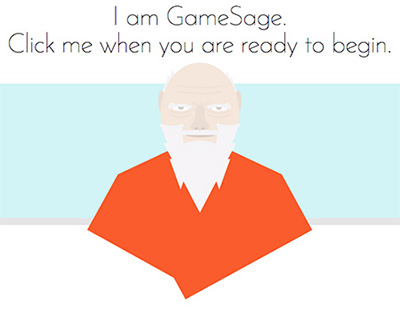 One tool, GameNet, is a network of 12,000 games, connected based on their relatedness. GameNet doesn’t use a simple idea of relatedness, like genre, but rather one derived from analyzing the full text of the Wikipedia entries for these games. The other tool, GameSage, allows you to describe a hypothetical game (using any words you like) and find its location in GameNet — something no previous tool has provided. We hope these tools will help people who care about games in a variety of ways. We hope they will help people who love games find new ones to play. We hope they will help developers, both student and professional, discover games related to the ones they are working on. We hope they will help people choosing games for other people make more informed selections. We hope they will help journalists, scholars, and others who write about games uncover broader ranges of games to discuss. The announcement will happen at the Foundations of Digital Games conference, which is taking place at Asilomar. The tools were created as part of GAMECIP (the Game Metadata and Citation Project) a larger collaboration between UC Santa Cruz and Stanford University, funded by the U.S. Institute of Museum and Library Services. Nice to see a Gamasutra story on this!